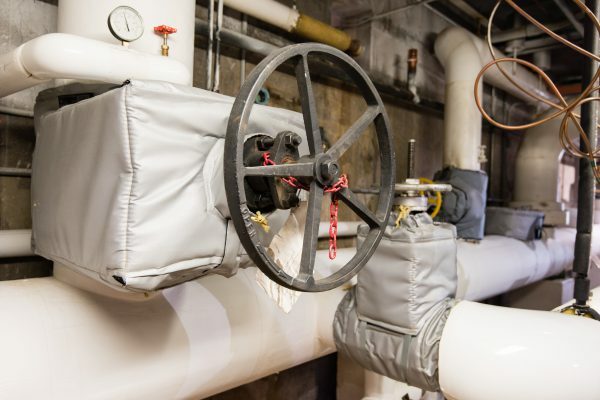 Mechanical insulation is a key part of the mechanical system, as it keeps the very expensive heat from steam or hot water systems in the piping and valves. 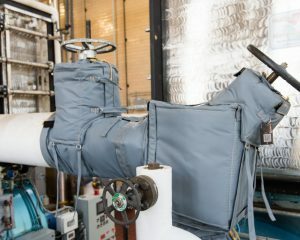 Mechanical room insulation also keeps the heat out of the chilled water in the piping that is used for keeping the building cool for the comfort of the workers inside. Why keep the mechanical room insulation, or mechanical insulation, in good shape? That is a great question. The no. 1 reason, above all else, is personal safety. If a pipe or valve is uninsulated, or the insulation is falling off, a worker could easily touch the bare component and get severely burned. The last thing one wants in the work place is for an employee to be injured because of poor maintenance of the mechanical insulation! The next reason is obviously financial. To make steam from water, or to make water hot enough to heat our building, is very, very expensive. Conversely, to “chill” water for our creature comfort is extremely expensive. 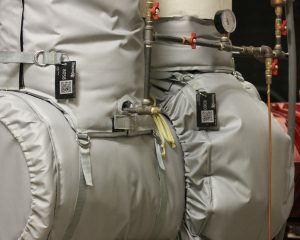 Typically, we anticipate a 24 month or less return on investment for insulating the piping and installing Thermaxx removable, reusable insulation blankets. The mechanical insulation must be maintained on a schedule, to do this is not a huge challenge, rather a mechanic will walk through the mechanical rooms, observe the mechanical room insulation and note any pipe insulation that is damaged or missing. All mechanical components: gate valves, globe valves, wye strainers, control valves, pressure reducing valves and any other component not listed here must have removable, reusable insulation jackets or blankets installed. While walking through and looking at the mechanical insulation the person conducting the survey can note any insulation jackets that are missing, or, insulation jackets that have been removed to service or inspect the component and not reinstalled. In order to maintain your mechanical room, the first thing that needs to do is get the mechanical room insulation up to par. The best way to do this is to contact Thermaxx Jackets. We will conduct a thorough insulation audit in your plant or building. During the audit all of the missing or damaged insulation on piping and any components such as valves, heat exchangers, pumps and a host of other components will be noted. Each component will be identified by type, size, ANSI class, operating temperature, operating hours, exact location and that information will be used in the heat loss analysis. Once completed, the heat loss analysis will allow the building owner to see exactly how many dollars the damaged, missing or uninsulated components are costing them. 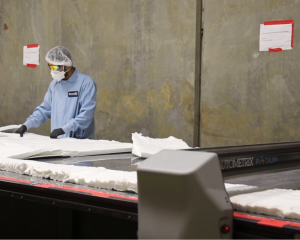 From that point, it is a fairly simple process to have Thermaxx Jackets carry out the entire insulation project. The Thermaxx Jackets team has professional pipe insulators that will make sure the removable pipe insulation is installed correctly. 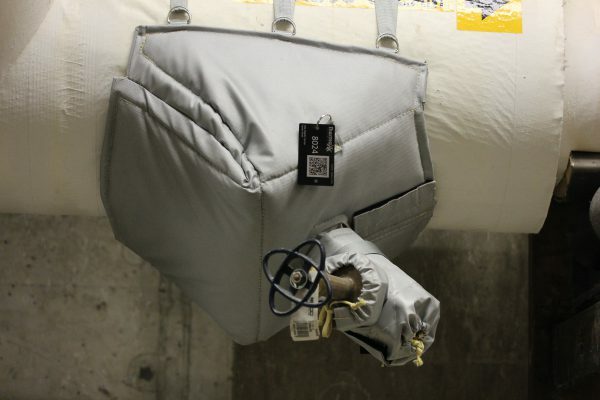 Thermaxx will also manufacture each removable, reusable insulation blanket and then install it at your facility. Once completed, the mechanical system will take on a beauty of its own. What’s next? Another great question! 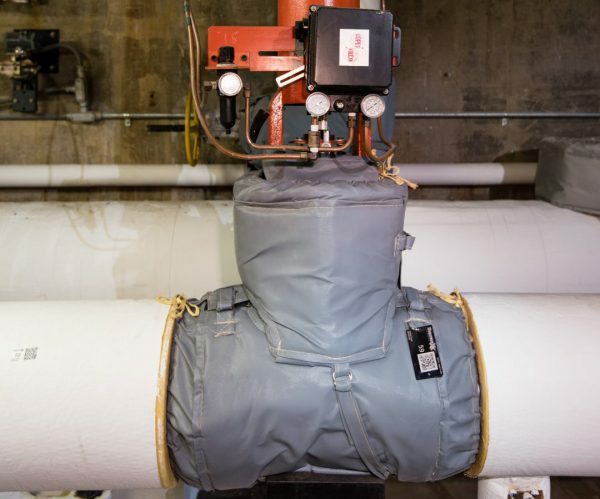 Thermaxx Jackets will visit your facility once or twice a year and check the entire system for damaged/missing pipe insulation. Also, the removable, reusable insulation jackets will be checked. If the jackets have been removed, we will reinstall them. 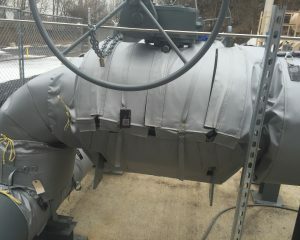 If new equipment is installed, we will note the piping and components that need insulation or insulation jackets. That information will be included in the report, and from there all you need to do is issue a PO to Thermaxx. Within a short time your mechanical insulation in the mechanical rooms will be back up to 100% and the safety and energy efficiency of the mechanical system will be maintained. 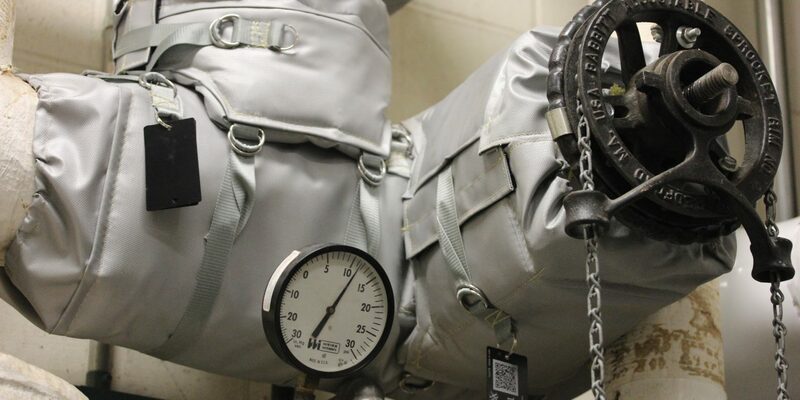 This entry was posted in Uncategorized and tagged Insulation, insulation jackets. Bookmark the permalink.